Do you struggle to find the perfect match for you and your home? Whether it comes to style, sizes and finish? Most people have stunning British homes, either built 100 years ago, or within the last 10-15 years. Either way, each home is unique and has it own quirky work arounds such as alcoves, jutting pillars and fireplaces, skirting boards, decorative mouldings and different levels of flooring, etcetera. With this in mind, it can be difficult to get the right kitchen unit, the right bookcase or cabinet to fit in that tricky alcove, the right sideboard or wardrobe to fit flush against a wall due to those niggly skirting boards, a treat for your home, but a nightmare for you and your furniture. Many of our customers have come to us for help with these similar problems, whether we sell a product that is just a little too wide and they require something similar with adjusted sizes, or a complete design from scratch. Here at Furniture Nation we are delighted to offer a made to measure service that can help with these quirky yet intrusive elements of the home. The process to complete designs is usually faster when we receive at least a simple drawing of what you have in your mind, as much information as possible, including the size, the style, those unique items (feet, handles) and if you have made a choice at this point, the finish. We offer many stained and painted finishes most people agree fit perfectly with their country style kitchen, their contemporary glazed dresser, or even a simple square TV Unit. Although we find these options satisfactory, we can also obtain Farrow & Ball paint at a small extra charge. Once we have all required information we draw up our own design, confirming every bit of detail, from the size of the skirting we need to overlap, the exact sizes of an extractor for a cooker hood, the size of your fridge for its housing, etcetera. The smallest detail can effect the build so we strive to be as precise as possible. When we are confident in our design, we send it back to you. We require full confirmation from you that you are happy to proceed and a 50% deposit upon ordering. Step 1: Set your budget, this will vary depending on the type of wood you wish to use (Oak or Pine). Step 2: Think about what you want, look on our website and view our bespoke gallery for inspiration. (Links provided at the bottom of this post). Step 3: Speak to us, let us help you with your thought process and build a relationship. Step 4: We recommend drawing up a simple (or complex if you wish) design of what you want. Step 5: Send your completed design to us, either by e-mail or by post. Step 6: We like to give atleast 48 hour notice until we send the completed design back to you. Once received we need your confirmation to proceed and a 50% deposit. This blog post is meant as a guide only, if it has not answered any questions for you please contact us on 01922 711177. Alternatively you can contact us via e-mail, sales@furntiurenation.co.uk. Thank you for taking the time to follow our blog link on our website, why did we decide to write a blog? Firstly, it is a space for us to freely talk about our passion for furniture manufacturing and customer service. We strive to offer a wide range of traditional and contemporary products alongside a real, professional and trustworthy service. Thankfully, this has been a success for us, our proof is with our returning customers and shining reviews which are all accepted gratefully, we wouldn’t have been running for almost 18 years without our customers, hats off you to guys! Secondly, our blog is also another way to keep up with the ever changing times, alongside social media we try to reach out into the world wide web and sift through the expensive and impractical furniture the internet has to offer, break through the interior design walls and really look harder at what customers are actually buying. We do this often and chat amongst ourselves, in short, we thought a blog would be useful to our customer base and also hopefully invite customers and/or suppliers to give us their suggestions. Below is a few points we regularly come across and chat about, and want to express our opinion and gather valuable feedback too. When we turn to the internet to research, we search for what’s new? What’s popular? We see wood and metal (together! ), we see glass, we see minimal, we see interior design everywhere we look. So we tried to simplify, we tried affordable, we tried local. We came across a variety of furniture, one we did notice was that vintage furniture is back, but we don’t think it was ever really gone. Vintage gets thrown around quite a lot with the design industry, usually alongside “modern”, we’ve found it amongst the rustic, purposely aged, white-washed pine and oak, even other cheaper materials including beech wood and MDF, with metal fronts and/or legs, slashes or anything that makes a product appear imperfect and/or aged and then refined. It’s a stunning new approach, but has not quite made an impression from us —yet. We also found mirrored furniture, and we were wow’d instantly. Mirrored furniture is storming the internet with its high glamour effect, adding wonderful space and chic to bedrooms, although it’s not quite made it into kitchens yet, mirrored side tables and sideboards have started to populate and we can certainly see why. We have sourced a few furniture collections of this sort and are yet to see its popularity increase. With that thought, we wonder when traditional furniture will fall in the vintage category? If so and when, we can push traditional furniture into the spotlight, ensuring cheaper prices and attracting more of an audience. For now, we use a handpicked selection of suppliers to provide competitively priced oak and contemporary furniture, that hopefully moves with the times and stay at affordable prices for whatever financial situation. One thing we know for sure, even after our internet searches and brainstorming sessions, white furniture is still a must in a lot of modern family homes, moving from bedrooms, now into living and dining areas, and even kitchens. Gloss furniture is also leaking downstairs, and even more of the customer base are taking the plunge with gloss kitchens. We wonder if the kitchen towel industry is doing well lately? Due to it’s fast growing popularity, we have several furniture ranges in a variety of white, off-white, cream and even grey finishes. We supply our own ranges (the ones we manufacture on site) in a small selection of painted finishes too. We also found a few stunning glossy furniture ranges that are affordable and have the desired effect that gloss furniture offers, it’s modern and creates the illusion of added space. You can find all of the painted furniture collections we have to offer here, and gloss furniture here. Oak furniture is also a huge seller, and becoming increasingly popular, and, as always when something becomes more popular, the more the price increases. 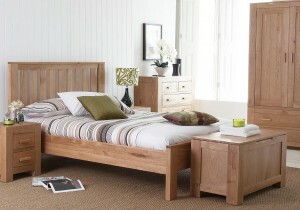 Oak furniture is pretty self explanatory, it’s price does a lot of the talking for us. It’s versatile, sturdy, long (long!) lasting, stunning visually and physically, easy to keep and the intricate natural grain flow speaks for itself. 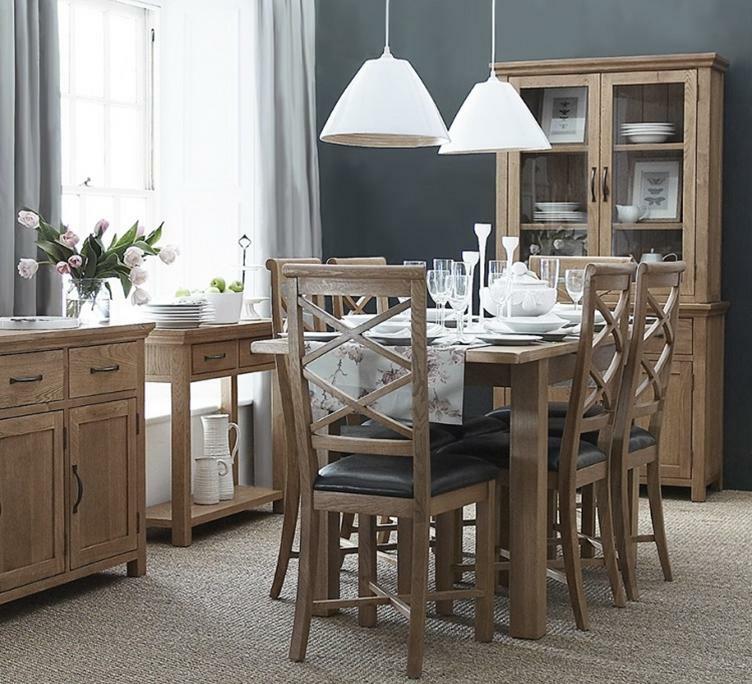 Any range of oak furniture is a valuable asset to anyones home, and truly adds a touch of class to any room. Oak materials are usually much more expensive than traditional wood such as pine or beech, so our customers do notice that in our manufacturing oak furniture the cost does increase compared to imported pieces. Our customers are usually made aware of why the cost increases and what they will be paying for. You can find all of our oak furniture collections we have to offer here. One option we pride ourselves in the absolute most is our ability to offer a bespoke, made to measure service. We strive to provide the best bespoke service there is, we understand that a customer wanting something made to their specifications will want it to be a well though out process. It is exactly like that, albeit lengthy, but we need a customer to be very specific, picky even. It’s our customers choice, and we’re here to keep it simple for them on our end. We offer this service with oak or pine furniture, and something we prefer to speak about at length either by e-mail, telephone or in person. You can gather more information about our bespoke service here. We will be posting another blog soon to further explain the process soon. If you’re reading this, and would like to provide any input, please do. We gratefully receive any feedback or pulling up to date! Oak living room furniture has become very popular over the last few years due to the larger manufacturing availability of oak living room furniture. Clean cut and stylish lines have lead to a wide choice of designs which cater to most peoples needs. There is also a good selection of different sizes which can accommodate large spaces or also fit into smaller spaces with the introduction of compact design ranges, items of oak living and dining room furniture which include items that can be supplied larger or in compact designs are oak sideboards, dining tables, tv cabinets and a wide range of oak cupboards. Solid wood kitchens made from pine are both versatile and practical for daily use, pine wood can be finished in an array of paint finishes to compliment the wood character for years to come. Pine kitchens in a wood finish can add an extra glow to any kitchen and can give it a more homely feel. 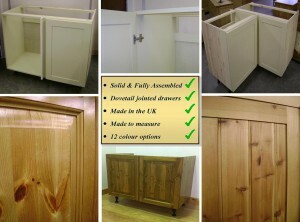 Being a solid wood fitment pine kitchens can be easily adapted to accommodate special size requirements. A popular choice in painted pine kitchen finishes is the wide choice of Farrow & Ball paint colours. Oak bedroom furniture is a very nice addition to any bedroom, either be fitted wardrobes or just bedside cabinets or chest of drawers the look and feel of natural wood adds a pleasant look and feel to any room. Oak furniture has become increasingly popular over the last few years due to wider manufacturing and more access to materials worldwide. White bedroom furniture has become very popular over the last few years due to its very clean look and versatility in modern bedrooms, whether you are looking for wardrobes and fitments or just bedside cabinets there are plenty to choose from. © 2019 Furniture Nation Blog. Theme: Ari by Elmastudio. Proudly powered by WordPress.